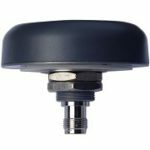 The TW1017 by Tallysman Wireless is a small, high performance, low profile, embedded GPS L1 antenna, specially designed for industrial and military precision positioning and timing applications. The TW1017 features a high performance custom tuned ceramic patch element, a tight bandpass SAW filter and a very low noise amplifier (LNA). 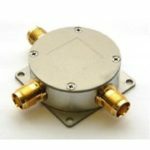 It covers the GPS L1 and SBAS (WAAS /EGNOS/MSAS) frequency band (1572.5 to 1578 MHz), and it offers great circular polarized signal reception, multipath rejection and out of band signal rejection. 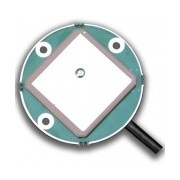 The TW1017 LNA gain is optimised to capture the LNA noise figure for OEM applications. A SAW pre-filter prevents saturation of the LNA by high signal levels associated with terrestrial L-Band interference. Tallysman offers custom services to assist in integration of the OEM module into end user solution. LNA gain: 16 dB typ. Low current: 5 mA typ.